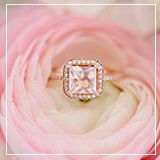 I am madly in love with this ultra-chic wedding. And I mean madly. 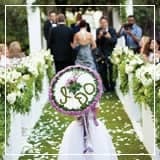 From those monogrammed ghost chairs (swoon) to the stunning flowers (double swoon) to all of the gorgeous, gorgeous elements so worth to steal, there are not enough minutes in the day for this wedding and me. 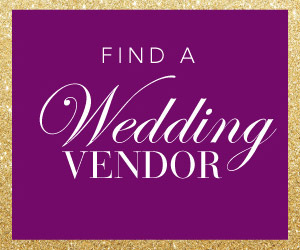 So, join me in this rendezvous of amazing wedding details. 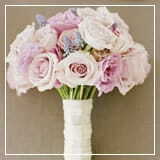 Hanging Crystals: I mentioned before how hanging decorations would make a fabulous statement on any wedding. 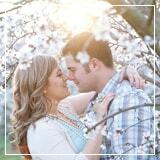 But, this couple really took this wedding trend to a whole new level of awesomeness. 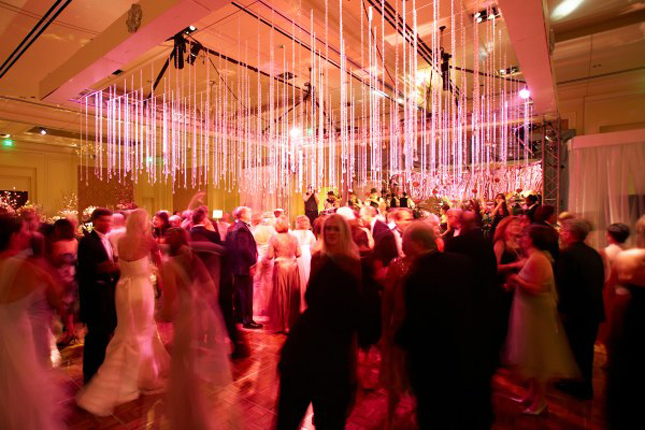 The sparkle of the crystals in the pink light made for an absolutely awesome look at the dance floor and crated a fabulous space for everyone to dance all night. Monogrammed Ghost Chairs: OMG, I’m so in love with this detail. I love mixing modern and classic elements. I believe that’s the secret to create a really memorable event. Ghost chairs are frequent ingredients in modern weddings. 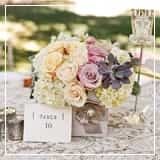 But, bringing them into a more classic affair like this one places in a tap of contemporary feeling and creates an unforgettable impression. 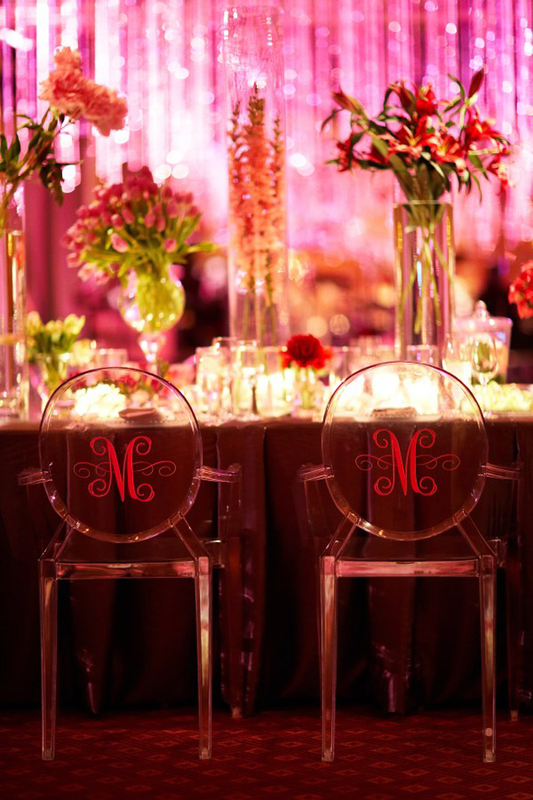 This couple took the memorable factor event further by monogramming the chairs… swoon! 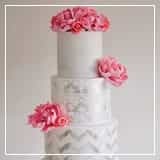 The Cake Table: This classic wedding cake is adorable, but the table setting just takes the cake. LOL. From now on, natural flowers pined to table-covers are a yes on my book. 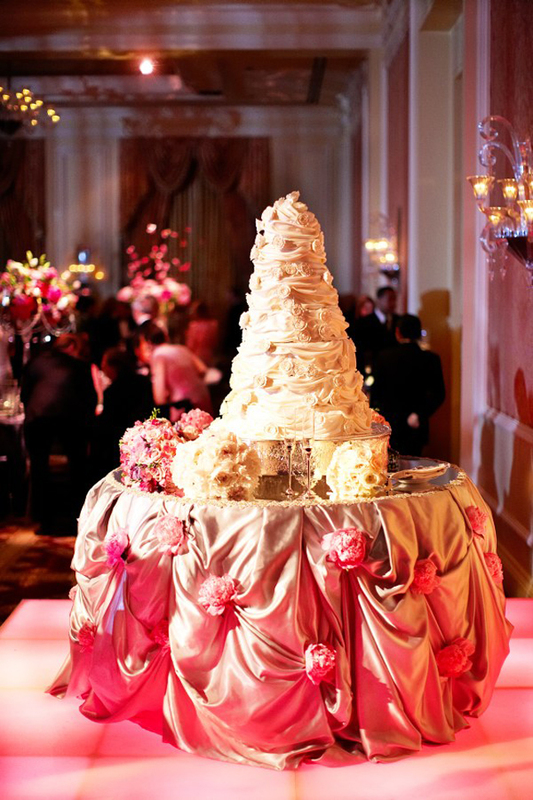 Especially, if they look any close to this refined cake table. Mixing Table Shapes: If you are a frequent of Belle, you know I’m a sucker of long tables. However, I appreciate when a couple mixes long, round and even square tables to include extra dimensions on their reception decor. 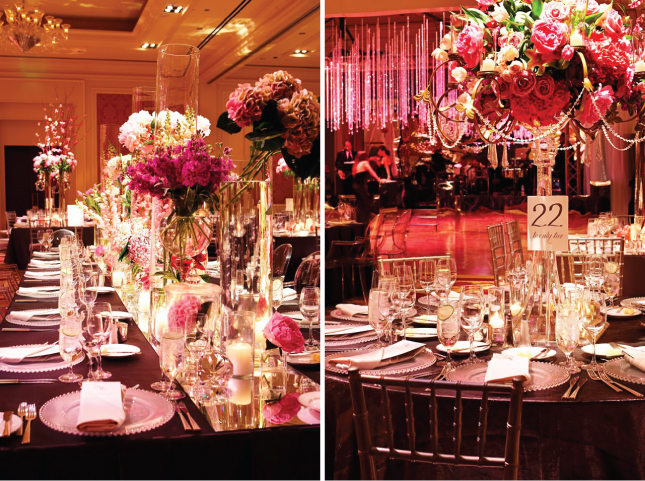 Also, notice how the long tables and the round tables have different types of centerpieces. 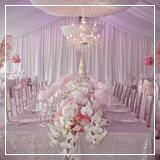 The long ones have more contemporary arrangements, while the round tables have centerpieces in a classic style. And they used one of my latest obsessions, candelabras! The Classic Car and Floral Monogram Sign: I’m not into limousines. I prefer a classic car. 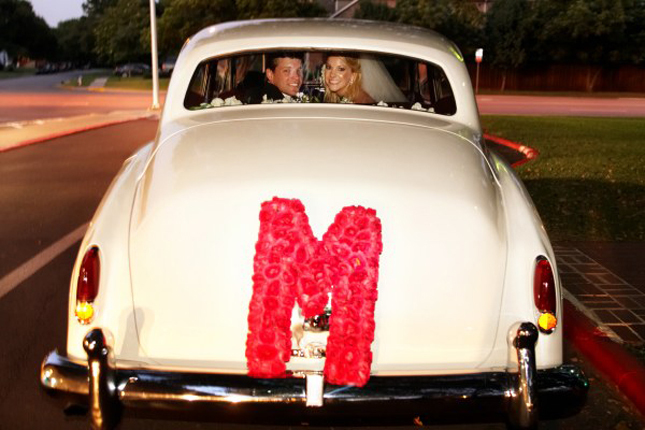 This white vintage car made a fabulous addition to this wedding. You may want to consider something like this for yours. Now, lest talk about the ultra-adorable monogram sign made out of pink flowers. So cute! 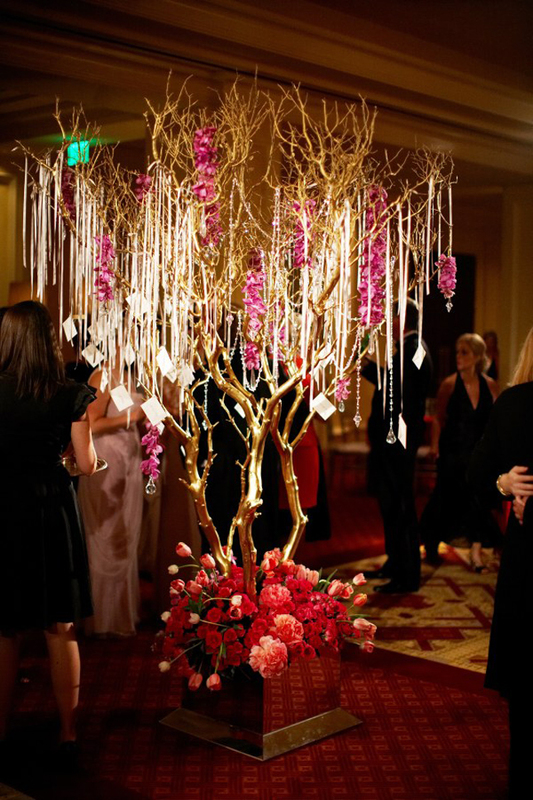 The Place-card Tree: I have seen a lot of beautiful place-card trees, but this one is SO. FREAKING. GORGEOUS. I love gold wedding details. S,o this golden branches and the crystals just make me smile. If you found this blog post helpful, please help sharing the word by tweeting it or sharing it on facebook.